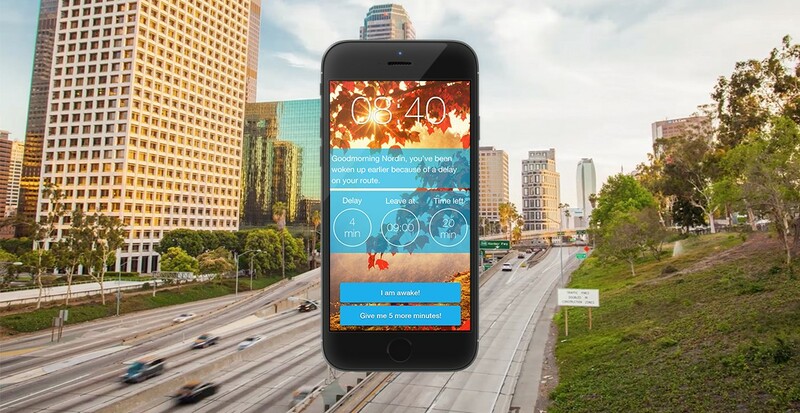 Calling all commuters: spend less time on your morning drive with a new mobile app that works while you sleep. 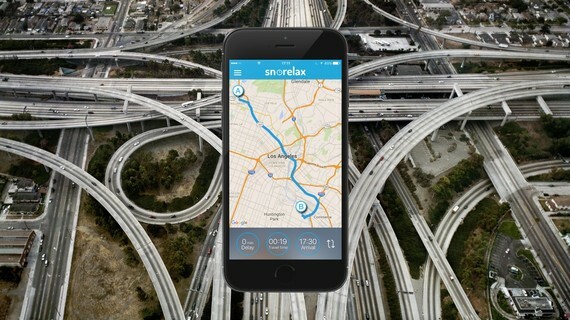 Snorelax analyzes real-time and historical traffic data to wake you up earlier if there are any delays on your route, ensuring that when the work day starts, you're at your desk - not behind the wheel. Billions of working hours are lost per year as a direct result of traffic jams. In 2015, commuters are estimated to have spent around 50 hours each - 8 billion hours collectively - stuck in traffic, and that's just in the United States. This figure has risen from 38 hours in 2014, and is projected to continue without intervention. While more drivers on the road heading to work signals a strong economy, the nation's economic losses due to wasted work-hours are upwards of $124 billion per year, prompting economists and policy-makers to devise different solutions, including toll roads, highway expansions, and HOV lanes, which have yet to show significant reductions in the inefficiencies caused by traffic congestion. Instead of spending millions of government dollars on road construction, Snorelax puts an effortlessly sophisticated solution in the hands of commuters everywhere. Based in Amsterdam, Snorelax founder and CEO Nordin Ouameur cites the stress and exhaustion of arriving to work late as the driving force behind the innovative and practical app. "As a consultant, I commute a lot by car," Ouameur says, often driving up to 150 miles a day. "I was always one step behind in planning my trips, because a lot of the time there were already traffic jams on my route... So, I thought, why can't I be woken up earlier and notified when I would have to leave sooner to be on time?" Founded in 2014, Snorelax analyzes real-time traffic and congestion patterns on your route to calculate the best time to rise and shine. The Snorelax app allows users to input their desired arrival time, as well as how long it takes for them to get ready in the morning. Combining these factors with the results of traffic analyses and potential route delays, the app will then sound an alarm - your wake-up song of choice - to let you know it's time to go. Many commuters resort to cutting down on precious sleep-time so they can hit the road without hitting delays. This poses another economic problem - less sleep directly correlates to decreased work efficiency. Instead of missing time over a traffic jam, you lose energy from missing sleep, and waking up earlier than you need to out of uncertainty. Luckily, the Snorelax app determines the best time for you to wake up, which means you'll never have to overestimate on waking up early again. Commuters, rest easy! Snorelax is currently available for just $1.99 on the App Store - not a bad price for what may be up to thousands of dollars saved in return. After the app's initial release, Ouameur plans on adding new features, such as calendar and transit integration, with reliable traffic updates and arrival predictions for local bus, train, and metro transportation. For now, Snorelax operates solely in English, but Ouameur has plans for multilingual expansion. Currently, regions serviced by the app include North America, South America, Europe, Australia, South Africa, Russia, Taiwan, Saudi Arabia, and the United Arab Emirates. ""I hope we can get Snorelax to as many people as possible," says Ouameur, "and play a small part in changing people's lives by getting them to their jobs, interviews, or to their appointments to close the deal of a lifetime."